George V. Faulkner MD, MC. George Vermilyea Faulkner was born on the 15th June 1908 in a place called Foxboro, a small town situated in the province of Ontario in Canada. He went on to study at McGill University, where he excelled in both academic subjects and sports. As war clouds gathered over Europe in the late 1930's, George decided that he must contribute to the war effort and so travelled to England and enlisted into he British Army in August 1939. He signed on the bottom line in an Army recruitment office in London and was posted originally to the East Surrey Regiment. He was soon sent to the O.C.T.U. (Officer Cadet Training Unit) at Colchester, where he trained and studied to become an officer, passing out in May 1940, and commissioned as 2nd Lieutenant into the Argyll and Sutherland Highlanders. After several months service within the 8th battalion, which included an involvement at Dunkirk, he resigned his commission and volunteered for overseas service. By 1942, George had found himself in India and eventually part of the fledgling Chindit training group under the leadership of Brigadier Wingate. His talents in medicine would see George promoted to Captain for the operation in 1943, where he acted as one of the senior Medical Officer's on the expedition. Captain Faulkner had developed several new techniques in 'self diagnosis' during training and had worked hard to persuade the men to learn how to administer their own drugs and first aid. His efforts helped raise the health and psychological well being of the Chindit soldiers from what had been a disastrous beginning in 1942, when sick parades were often attended by 60-70% of the brigade. After returning safely to India in mid-1943, Captain Faulkner was asked to write the medical notes for the operation which were later included in Wingate's full debrief for Longcloth. (These notes can be seen in full on the Glanmore website, see link below). I know that George also took part in the second Chindit operation in 1944 (code named 'Thursday') where he formed part of the medical team for the Gurkha Reconnaissance section attached to one of the Chindit brigades. The evidence for this came from an unexpected and remarkable source. Incredibly, two men from Operation Longcloth had managed to survive for nearly a year, living in a Burmese village called Lathaw. In mid-March 1944 16th Brigade passed close to where the men had made their home and one of the men, Pte. Critchley attempted to make contact. I will let Pte. Critchley explain: "About mid-March a villager told us that one of our columns was in the vicinity and we decided to make contact. This we did at a place called Michicom (at least that is how it was pronounced) and we found it to be a Gurkha Recce platoon commanded by a Captain Busk. Later we joined the column where there was a medical officer. My companion, Pte. Jones died in the presence of a Canadian medical officer named Major Falkner of that column. I had Jones's identity discs and handed them in to an officer in Rear HQ in June 1944". (Jones had suffered from malaria for the entire time that he and Critchley had lived in the Burmese village of Lathaw). This document was found in the WO361 series held at the National Archives at Kew, London. These are papers which primarily concern men who were recorded as 'Missing in Action', in the case of Critchley and Jones for almost one year after they were presumed lost in Burma. This short note would provide the corroboration for George's participation in the second Chindit operation in 1944. Back home in Canada after the war, George upheld a long standing family tradition and made his career in medicine. He sadly died at the age of 47, suffering from a heart attack and leaving behind his wife Philippa and two young children. Many thanks must go to Anne B. Faulkner for permission to link to the website about her father and for the use of the above photograph. Update 29/11/2012. From the War Diary of the 77th Indian Infantry Brigade dated 16th May 1944 comes the following report about a temporary field hospital, set up and run by George Faulkner. The dispatch signal was sent by Brigade Head Quarters to one of the Column Commanders in the field suggesting that in similar and helpful circumstances this type of hospital should be utilized more often. It seems that Major Faulkner was due to land at the stronghold codenmed 'Piccadilly' in the original planning of Operation 'Thursday'. This landing site was compromised before the operation start date. Piccadilly (found to be compromised by the enemy, re-directed to Broadway). Medical Officer 81 Column Major Faulkner to land and set up a combined aid post. Officer Commanding (Lieut. Colonel Scott, Kings Regiment) to allocate men to act as 'stretcher-bearers'. Casualties to be assessed, cleared and evacuated by Dakota aircraft. Medical Officer 3/9 Gurkha Rifles and Brigade Medical Unit to land. They will take over and extend the aid post, forming a small surgical hospital and provide its function and protection. On completion of the orders: 3/9 Gurkha Rifle Regimental Aid Post and modified medical units will continue to operate within the 'Stronghold' (Broadway), allowing Major Faulkner to accompany Brigade Command and be Senior Medical Officer outside the Stronghold thereafter. Field return signal from 77th Indian Infantry Brigade HQ. On re-reading the book, Prisoners of Hope, by 77 Brigade Commander, Brigadier Mike Calvert, I recently discovered that Major Faulkner had first attempted to enter Burma during Operation Thursday, aboard Glider 15P on the 5th March 1944. This aircraft was cut adrift during the flight, roughly one hour after crossing over the Chindwin River and had to be put down by American Pilot Bruce Williams, on the beachside of a small chaung. Fourteen personnel, under the command of Lt-Colonel R.P. Fleming of the Grenadier Guards and including Major Faulkner, proceeded over the next 8 days to march back to the Indian Border and re-join their Chindit Brigade. (a) Major G. Faulkner M.O. who displayed throughout coolness, good judgement and resource. (b) Major C. Pringle, who displayed marked courage and endurance in swimming the Chindwin five times, and on three of these occasions transporting arms and equipment. (d) Captain G. Massey and Pte. McMurdoch, who did valuable work with the Recce Group, often at the end of a long and tiring march. George Lusk, Medical officer for Column 2. 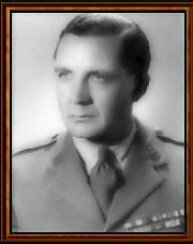 I believe that Captain Faulkner was the Medical Officer of either 4 Column or more likely Southern Group Head Quarters in 1943. This assumption is based purely on being able to name the medical personnel attached to the other columns that year. There are no mentions of George Faulkner in any of the books that I have read, which feature Operation Longcloth, so there is no other information or evidence that I can turn to in order to confirm my theory. Captain George Ian Wilson Lusk, Medical Officer for Column 2. (Pictured above). Having previously walked out of Burma in 1942, escaping the rapidly advancing Japanese invasion force, George bravely volunteered to go back in again the following year with Wingate's Chindits. Sadly this decision was to cost him his life, he was captured attempting to re-cross the Irrawaddy on dispersal on the 23rd April and died a POW just a few days later. Captain D. Rao, Medical Officer for Column 3. Not much is known about Dr. Rao, apart from his devotion in keeping the Gurkha Rifles of Column 3 fit and well. He was part of Flight Officer Robert Thompson's dispersal group which finally exited Burma in mid-April. Here is a quote from Harold James's 'Across the Threshold of Battle', describing the Doctor: "Our medical officer, Captain Rao came from Southern India, he was so thin that he looked as though he would snap in two at the slightest touch. In reality he was a very tough, good humoured and and excellent doctor". Captain George V. Faulkner, Medical Officer (possibly) for Column 4 or Southern Group Head Quarters. Captain William Service Aird, Medical Officer for Column 5. Having begun his time with the Chindits serving with 142 Commando, William was 'poached' away from this unit by Bernard Fergusson and became column fives doctor late in 1942. After agreeing to help look after a dispersal group of already ill and stricken men, William himself went down with malaria combined disastrously with a bout of severe dysentery. He was captured in late April, heartbreakingly just a few miles short of the Chindwin River and potential safety. He died less than ten days later, as the captured Chindit POW's passed through the town of Mandalay on their train journey down to Rangoon Jail. You can read more about William Aird within these website pages, here: Rex Walker's Dispersal Group 4 and here: Ted Stuart, Almost, but not Quite. Captain Alfred Henry Snalam, Medical Officer for Column 7. Alfred Snalam, affectionately known as 'Bill' is not mentioned in many of the war diaries or other paperwork in relation to Operation Longcloth. The information that follows was found on line and is taken from a short obituary written in a medical journal back in 1989. Alfred was born on the 5th January 1914 at Ilkley in West Yorkshire. His latter schooldays were spent at Ilkley Grammar School before he chose to study medicine at Leeds University. Just before he began his studies for his degree, Alfred spent some time in Australia, travelling with William Snalam (presumably his father) to Brisbane in 1932. William and his eighteen year old son, Alfred, returned to the United Kingdom on the 22nd April 1932 aboard the SS Strathnaver. Coincidently, the Strathnaver was to play her part in WW2, serving as an Allied troopship in the 1940's and transporting troops and supplies to places such as Bombay in India. Alfred passed his exams and achieved his Bachelor of Medicine degree in 1938. Soon after he took up a position as an Assistant General Practitioner in Reading, Berkshire. 128519 Captain Alfred Henry Snalam R.A.M.C. served his country for the majority of WW2, including the evacuation at Dunkirk in the early summer of 1940. He then travelled overseas to India and became involved with the first Wingate expedition as Column 7's Medical Officer. In January 1943, as the Chindit Brigade was preparing to move down to Imphal and then on into Burma, Alfred was given the responsibility for Chindit Columns 7 and 2, whilst acting as Administration Officer for the train on which they were travelling. In late 1943, perhaps with the expertise and knowledge from his Chindit experiences, Alfred went on to work at Karachi General Hospital, specialising in the treatment of malaria. Captain J.D.S. 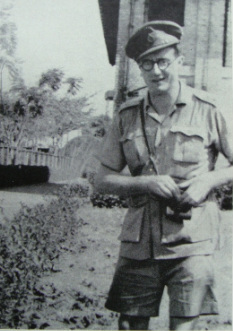 Heathcote, Medical Officer for Column 8. On the 15th April 1943 Captain Whitehead and his dispersal group, together with a party of wounded men on stretchers left the main body of Column 8. Their aim was to find a 'friendly' village in which to leave the wounded men, then push on toward the Chinese borders in an attempt to reach Allied held territory. Doctor Heathcote was with this party presumably to look after the casualties until a suitable place to leave them could be found. Unfortunately this took some time, as the first few villages they tried for turned out to be deserted. On debrief after the operation, it was suggested that the medical officer should not have been allowed to go off with Whitehead's group, thus leaving the bulk of the column without a doctor. Captain Whitehead's dispersal party was ambushed by a Japanese patrol on the way back to India and many of the men were taken prisoner. What happened to Dr. Heathcote is not definitely known, but he did not end up a POW nor was he killed in action, so it must be assumed that he succeeded in escaping back to India in 1943. Copyright © Steve Fogden 2012-14. Pictured left is the cap badge and crest of the Royal Army Medical Corp, with the Latin motto, ' In Ardus Fidelis' (translated as 'Faithful in Adversity'), this badge would have been worn with pride by all of the Doctors featured on this page. The rod and serpent goes back to ancient Greece and a man called Aesculapius who lived around 1256 BC. He was a doctor of such renown that legend tells that he was able to bring the dead back to life. Pluto, the God of the underworld, was so appalled at not gaining the souls of the dead that he complained to Jupiter the head of all Gods. Jupiter obliged by slaying Aesculapius with a thunderbolt - this is the rod. After his death Aesculapius himself became a god who was worshipped in hundreds of temples. The temples quickly became places of healing for the sick and were used as the first hospitals. Within each one there was a circular pit that contained a species of snake that was harmless, but whose forked tongue was believed to have healing properties - this is the origin of the snake.